When Do I Really Need an Architect? Who do you call when you are about to start a home renovation project? A contractor? An interior designer? An architect? All three? 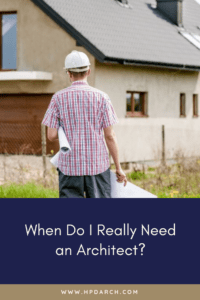 In our podcast, 75: When Do I Really Need an Architect?, Holly and I share a checklist of questions and answers to effectively guide you through this process. What follows is a synopsis of that podcast. Do your due diligence before you begin your renovation project. First and foremost, you should determine if you need a building permit. 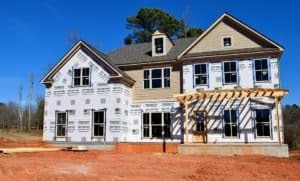 Keep in mind that different communities have different requirements for the types of projects that need a building permit, and sometimes, you won’t need a permit. Conduct a quick search on your city’s official website for “building inspection” or “building permit”. There should be lists that will tell you which types of projects need a permit and which don’t, and what steps you’ll need to take based on the work that is going to be done. Your city should also be able to tell you what is required in order to get a permit. Often they will want drawings (floor plans, elevations, sections, site plans, framing and foundation plans, etc.). They may also stipulate if an architect or structural engineer needs to be involved. 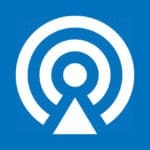 If you can’t find what you need on their website, give them a call and they can point you in the right direction. If the work you are going to do is generally just home repairs (i.e. repairs to existing plumbing, fixing a broken a light fixture, replacing a garage door, etc. ), you probably don’t need a permit and the contractor can do the work. Exceptions to this would be for repairs to or replacements of water heaters, roofs, fences, or turning off/on the gas in the home. Those repairs will require a permit. If you are replacing cabinets but keeping all the light fixtures, appliances, and electrical outlets in the same place, then a contractor can help you with the selection process, make recommendations for installers, etc. You may want to pick out all your own cabinets, flooring, appliances, paint colors, plumbing fixtures, etc., and then just have the contractor install them. If you are creating something that is going to aesthetically affect the value of your home, a reputable contractor with proven design success can help with that process. However, don’t take a chance on the appearance of your home if you are not sure your contractor has design chops, or has access to a good architect or draftsman. Some contractors are good with building, but terrible at designing. Check with other homeowners who have used that contractor for their recommendations. Otherwise, an interior designer might be a better choice. An interior designer is a great choice if you want to freshen and update your interior with new furniture, paint colors, flooring, carpet, tile, fixtures, cabinets, etc. 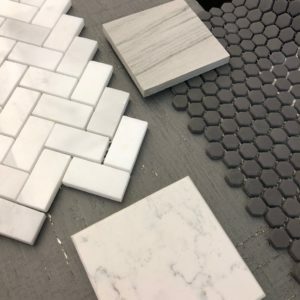 Your designer can assist with improvements to your existing lighting, choosing tile and plumbing fixtures for a bathroom remodel, or any other project with just finishes in mind. Many interior designers are experienced in more involved renovations, but be sure to check what their capabilities are so they don’t get in over their heads. If your project starts to grow to a point that involves removing walls, adding an addition, moving windows (needing exterior elevations) etc., you’ll want to consult with an architect to make more detailed plans. If you are working on a project in a historic district, conservation district, or area that requires a review at the city or state level, you will need an architect. Architects should factor in the historic district’s requirements when determining their fees. The process can get very tedious. An architect (vs. a contractor) is your best choice if you are making changes that are intended to increase the value of your home for resale or to improve your personal lifestyle and enjoyment of the home. You need the design experience of an architect, not just someone who can build something. You probably need to consult an architect if your budget is 10 percent or more of the value of the house (for example, $400,000 home x 10% = $40,000+ budget). This is a general rule of thumb but it’s enough at stake financially that you’ll want someone who’s got your back. We’ve received calls from homeowners who regretted the decision to not call an architect. In those instances, hpd architecture + interiors became “rescue architects”—coming to the rescue and solving problems of less than optimal work done by others. A homeowner who asked an unskilled draftsman to design a new home. In the end, the stairs didn’t go all the way to the second floor, the first and second floor did not stack on top of each other, the bathrooms weren’t functional (no room to sit on the toilet due to the swing of the shower door), the kitchen was horrible, and the design was just ugly. The homeowners would have had a horrible home and would’ve had issues with resale had they gone forward with the plans. A home build from plans “designed” by a homeowner who fancied himself as a house enthusiast and self-proclaimed designer. The flow and functionality failed with lots of wasted space. The project was a mess. The homeowner got halfway through the project and ran out of money. There was so much that needed to be done, and the house ultimately had to be demolished. When there is no architect or interior designer involved, there is no defined architectural style, which makes a home difficult to sell if buyers can’t relate to it. Do your homework and due diligence before starting a home renovation project, and make an informed decision regarding whether you’ll need a contractor, an interior designer, an architect, or all three. If you need additional guidance with that process, hpd architecture is happy to field your questions. Just give us a call at 214.751.2304. To listen to the full interview, please visit our podcast page and show notes for Episode 75: When Do I Really Need an Architect? Please leave us a comment below if you have tips that would benefit our listeners or give us a call at 214.751.2304 if you have questions. Well, I think you’re awesome! I love what you did and I’m really going to miss this house when I decide to sell.